From my upstairs window, the house that I shared after first deciding to live in Mexico appeared to actually be in the ocean. The surf broke, hit the wall hard, shot up several feet, then landed on the patio with a sound like someone is throwing a bucket of water on it. Each part of the process was a distinct auditory thrill, during storm season. My housemate squeals as much as I do when a particularly large wave goes over the wall. First, let me make clear that she is an extraordinary person. At age 12 she decided to move to Mazatlan during a vacation with her parents, came back at 22 and never looked back. The purpose of this blog however, is to make the case for house sharing for anyone and especially to single people moving to Mexico. Should you get a room-mate or live alone in a foreign country? Yes, but not for the reasons you probably think. Over the years of being single, I have periodically shared houses and the benefits are many. 1. Having a housemate enables you to significantly upgrade your standard of living. What would get you a nice house or apartment solo sometimes will get you twice the place when costs are shared. Located in mountains and on beaches, the houses that I have shared in the past were not just houses, they were experiences. 2. It’s healthy to invite people in from time to time to audit your mental health. It may be more peaceful to live alone for years but I am convinced that its not healthy in terms of maintaining your ability to phrase things diplomatically. 3. Developing better people management skills should be a lifelong pursuit. When you work with many people in a job, you experience the gratification of learning what motivates one person versus another. Working remotely or living alone denies you the experience of practicing your skills managing other people, and I mean that in a good way - we all need managing sometimes. These skills get rusty with lack of use. 4. It is totally fun to make someone else’s day a little better, whether it’s a colleague spouse or housemate. Sharing a house gives you impromptu opportunities to make someone else happy. Who doesn’t love that? 5. The right house-mate can be tons of laughs, and even the wrong one can be funny on occasion. 6. You will invariably find people who compliment your strengths and weaknesses. I have never had a housemate who didn’t have a household skill that I didn’t. 7. Having a housemate in a new area is invaluable in terms of trading information about where to go, what to do and what to avoid. My housemate is a weather nut, pretty comforting in Mazatlan in hurricane season. Yes, I can go on-line to check, but can I do it as well as a weather nut? 8. If you are re-locating, whether to Austin or Paris, having even one person more or less know your habits increases your confidence and peace of mind in unfamiliar surroundings. 9. We all need real relationships. You never know someone so well as you know someone you have lived with. A year of lunches and happy hours will never take the place of living with someone who has lost a dog or knocked on your door after they’ve heard you crying in there. 10. It helps you categorize your life in a way that is more accessible to memory. Like an index card file, the tabs become people you have really gotten to know and often come to love. Even after you have moved on, there is a tendency to know you can count on one another in a pinch. I actually got hooked watching a trashy telenovela with a past housemate and even came to understand the appeal of the series Antique Road Show. You have the rest of your life to enjoy what you already know you like. Open up. House-sharing is not typically a permanent situation, although you could make it one. I love living alone but feel that living with someone from time to time prevents me from becoming one of those people who has to have her bath towels lined up just so. Periodic house-sharing has helped me rejoice in both companionship and solitude. Next Up: Why aren't more people doing remote work from Mexico? 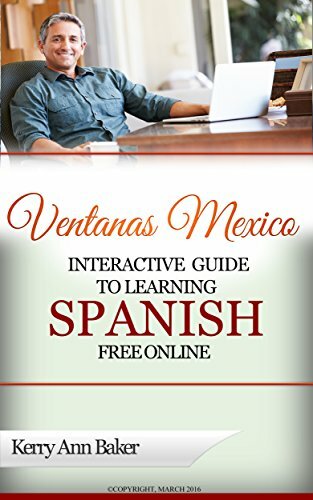 Hi, I'm a partner in Ventanas Mexico, which provides resources to help people explore full or part-time expat living in Mexico, including the "Interactive Guide to Learning Spanish Free Online"
The interactive book curates the best of over 300 free Spanish language learning tools into hundreds of unique and fun lesson plans. 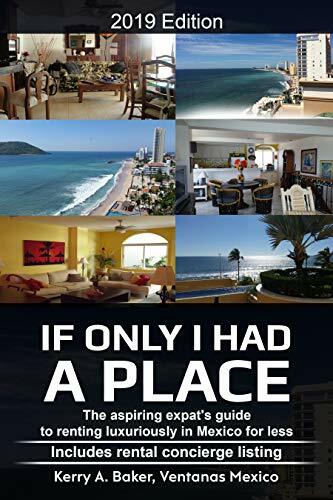 In July, 2017, we released "If Only I Had a Place," a guide to renting for aspiring expats. Avoid the pitfalls, know the advantages of being an expat when you rent.